One of our first ever fabrics which we repeat every year as it consistently proves to be one of our best selling pyjamas. A beautifully feminine blue and white stripe with small pink flowers. Girl's pyjamas available in the same fabric, so you can buy matching mother and daughter pj's. Made in UK like all of our nightwear. Isn't it time he brought you breakfast in bed? 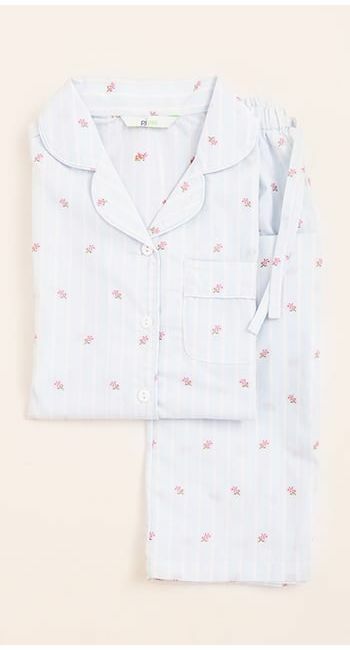 Wear these irresistibly pretty pyjamas and he just might.